Get started with the basics of embroidery. 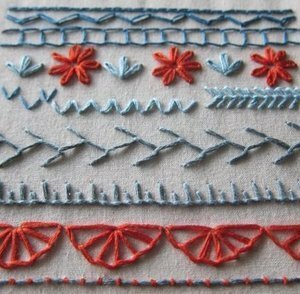 Stitches include backstitch, stem stitch, satin stitch, chain stitch, feather stitch, and french knots. Complete a sampler project in class.